Replacing appliances can be costly, and it's an expense for which you don't always get time to prepare. Although there's no way to predict the exact day an appliance will die, a refrigerator's life expectancy is about 10 to 13 years. If yours is creeping close to 10 years or is already older, it's a good idea to start budgeting for the inevitable. If your fridge is on the fritz, don't plan the funeral just yet. Eventually, all good refrigerators must come to an end, but it's not unheard of to keep a refrigerator running for 14 to 27 years. 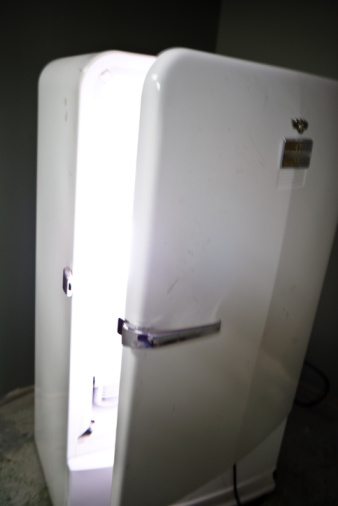 A good repairman might be able to significantly extend your refrigerator's life span. When weighing the decision to repair or replace, consider the cost. If your refrigerator is requiring frequent repairs or if the needed fix is costly, it may be time to part ways with your old refrigerator. Parts availability can also weigh into your decision. Are original equipment manufacturer parts still available, or will repairs mean paying a premium for potentially inferior aftermarket parts? Consider too how much you like the refrigerator. Available styles and features change over time, so you're not likely to find an identical replacement. 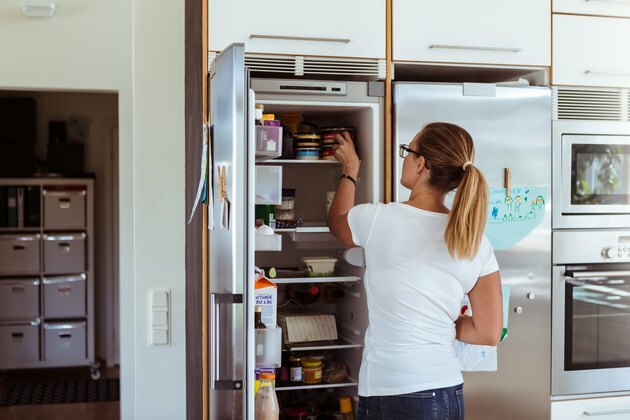 If you truly love your appliance or paid very little for it when you purchased it, you might feel a refrigerator repair is worthwhile. Depending on how old your refrigerator is, you may be smart to replace it even if it's still working. Refrigerators have become much more energy efficient over time, and replacing an old one can noticeably reduce your electric bill. Let's use a 22 cubic-foot refrigerator as an example and assume you pay 15 cents per kilowatt hour of electricity. A fridge made in 1992 would use 1,100 kWh per year, making the cost to run the appliance $165 a year. An Energy Star model made in 2010 would use only 500 kWh and cost $75 to run. In this example, upgrading your refrigerator would save you $90 a year and $1,170 over the 13-year life expectancy of the appliance. Your new fridge may have paid for itself. In 2018, you could buy a refrigerator that cost as little as $43 a year to run. Given the dramatic improvements in energy efficiency, replacing your old refrigerator may make more sense than repairing it. Sometimes, appliances fail without warning, but your refrigerator may offer some clues when its end is near. If your freezer is encased in ice that comes back quickly after a defrost, the appliance is likely approaching the end of its useful life. Other signs include condensation around the refrigerator door and food that seems to spoil more quickly than it should. Dying refrigerators also frequently run hot and loud. If you notice excessive heat coming from behind your fridge, the motor is potentially running out of steam and working overtime to keep up. You may also start to notice when the motor kicks on. The hum of a running refrigerator is a normal background noise you shouldn't really notice. It's a sign that something is wrong if you do. It's inevitable that your refrigerator will one day die, but there are steps you can take to increase its longevity. One is to always keep your refrigerator and freezer well stocked. In a full fridge, the items help to keep each other cold so the appliance doesn't have to work as hard. Keep the appliance full but not so stuffed that you block airflow. At least once a year, pull your refrigerator away from the wall and vacuum or sweep the dust off the coils. When you're done, inspect the rubber seals around the appliance's doors and replace them if they are dried out and deteriorating. What Is the Wattage of a Refrigerator? When to Replace Refrigerators and Freezers?